édité le 03/09/2018 - Plus de news de "Maire Tecnimont" - Voir la fiche entreprise de "Maire Tecnimont"
Maire Tecnimont S.p.A. announces that its main subsidiary Tecnimont S.p.A. has been provisionally awarded by the Direction Centrale Engineering & Project Management of SONATRACH an EPC (Engineering, Procurement and Construction) contract for the execution of the “LPG Train 4 – ZCINA Hassi Messaoud” project, to be implemented inside the existing ZCINA Facility, located in the Hassi Messaoud area, in central Algeria. The overall Contract value equals to USD 248 million, under a multicurrency basis. The Contract is under a Lump Sum scheme for Engineering, Procurement and Construction activities. The scope of the Project entails the implementation of a new train of 8 MMSm3 (Million Standard cubic meters) per day capacity of LPG and Condensate extraction from associated gas coming from the existing plants located nearby ZCINA facility outside the battery limits. This project is an extension to the existing ZCINA LPG plant which operations have been started up from June 2013 with three LPG Trains, to increase the production of LPG and condensate from the Hassi Messaoud field. LPG or Liquefied Petroleum Gas is a pressurized liquid mixture of propane and butane used as fuel in heating appliances, cooking equipment, and vehicles. The Provisional Award is expected to be confirmed soon after finalization of the Contract Annexes with the client and is subject to the Final Award Notice of the project by SONATRACH. Formal contract signing is expected to take place in September 2018. The project’s completion is scheduled within 30 months from the commencement date. Maire Tecnimont S.p.A. is a company listed with the Milan stock exchange. It heads an industrial group (the Maire Tecnimont Group) that leads the international Engineering & Construction (E&C), Technology & Licensing and Energy Business Development & Ventures markets, with specific competences in plants, particularly in the hydrocarbons segment (Oil & Gas, Petrochemicals and Fertilisers), as well as in Power Generation and Infrastructures. 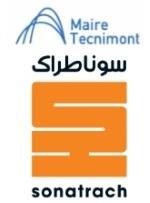 The Maire Tecnimont Group operates in approximately 40 different countries, numbering around 50 operative companies and a workforce of about 5,500 employees, along with approximately 3,000 additional Electrical & Instrumentation professionals. Sonatrach is the largest oil and gas company in Algeria and Africa. The company operates in exploration, production, pipeline transportation and marketing of hydrocarbons and by products. Voir la fiche entreprise de "Maire Tecnimont"
Les dernières news de "Maire Tecnimont"